Comment on the Nutriday Competition post on our Facebook page & share your creative ways to repurpose old NutriDay yoghurt tubs in your home and/or garden and include a picture of your creative design in the post! Entries for the Competition will open at 17h00 on Thursday, 2 February 2017 and will close at 18h00 on Tuesday, 7 February 2017 (Competition Period). 4.1. Reply to Nutriday Competition post that is posted on the Afternoon Express Facebook page (www.facebook.com/afternoonexpress/) during the Competition Period by sharing your creative ways to repurpose old NutriDay yoghurt tubs in your home and/or garden and include a picture of your creative design in the post. 4.3. There is no restriction on the number of times you may enter, provided that each entry is unique (i.e. not the same entry and photo). 6.1. 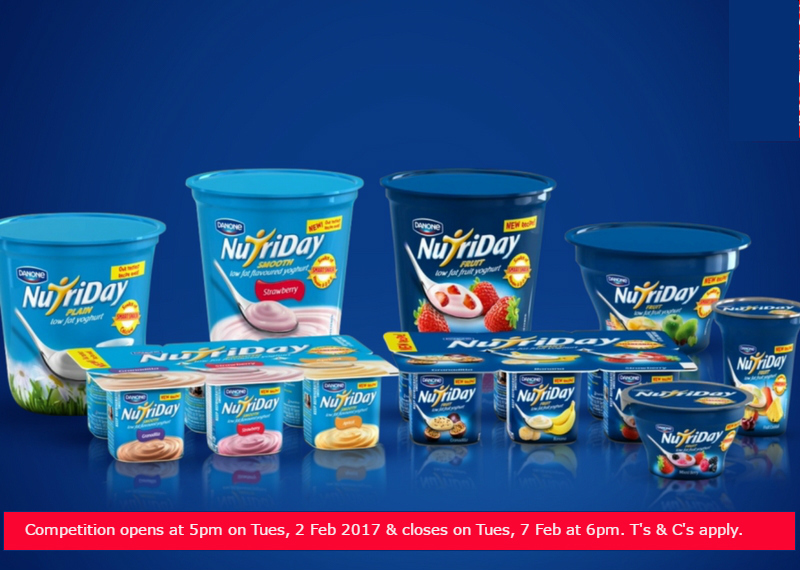 The Winner will receive a Nutriday Smart Snack hamper to the approximate value of R 2 000.00 (Two Thousand Rand) (Prize).